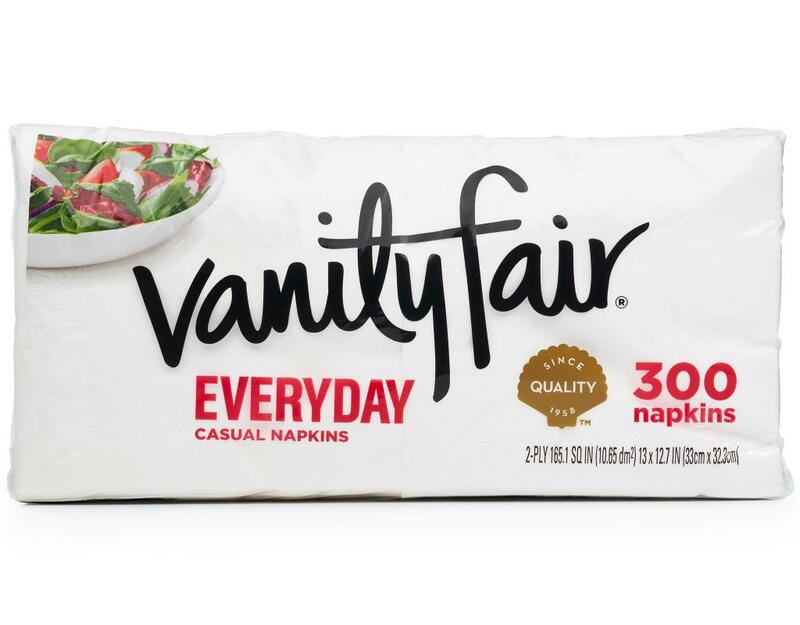 Vanity Fair Everyday Casual Napkins, the perfect companion for any meal. 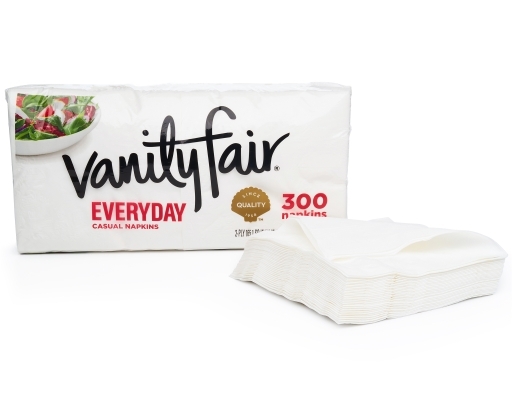 Featuring a smooth, cloth-like texture, Vanity Fair’s 2-ply napkins are made to look stylish and classic taking on anything from breakfast to dinner and everything in between. 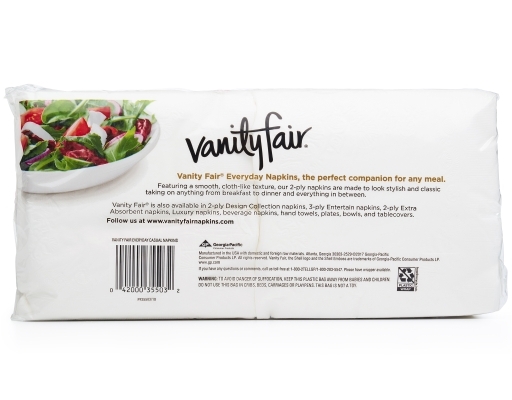 Add a special touch to any meal with Vanity Fair.